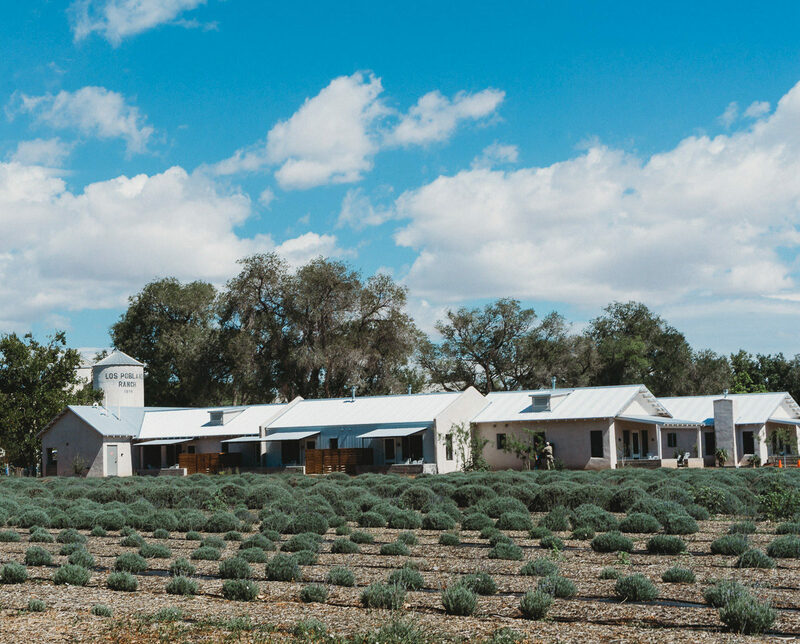 Los Poblanos has so much to offer, from it’s amazing restaurant featuring fine “field to fork” dining and beautiful aromatic fields of lavender to the carefully curated Farm Shop and tranquil guest rooms designed in the classic New Mexican style. 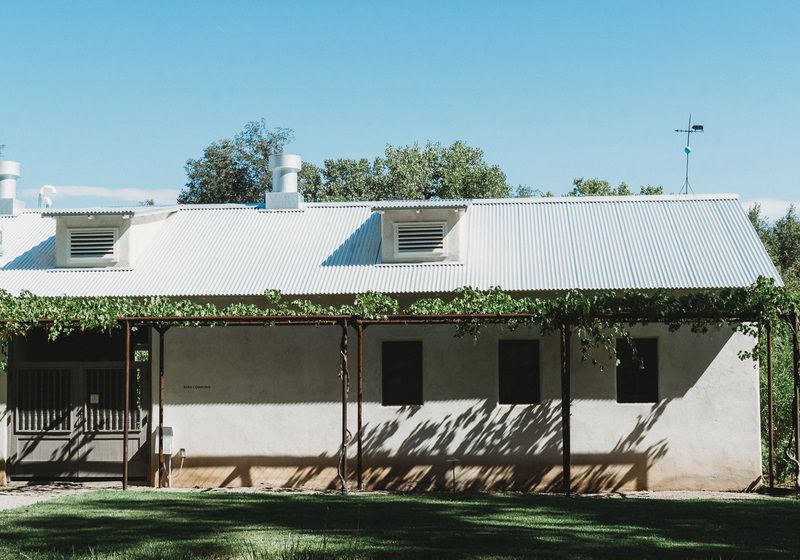 Nestled in the Rio Grande River Valley, Los Poblanos is surrounded by breathtaking vistas and is steeped in New Mexican charm that you won’t necessarily find staying in the city. 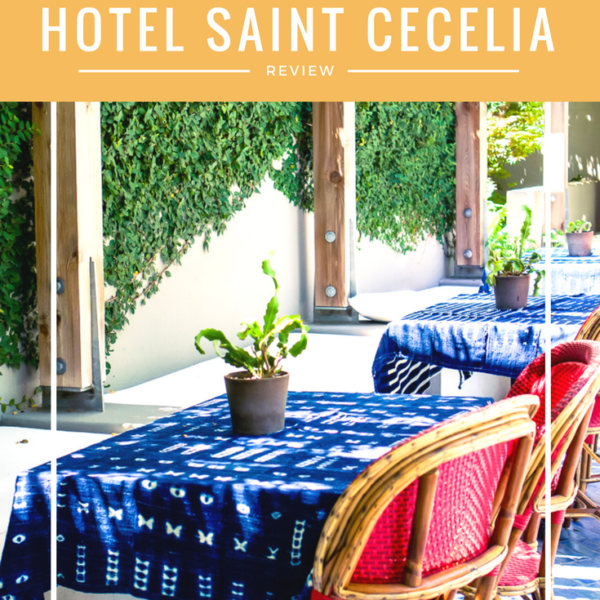 Upon checking into our rooms, we were delighted by the New Mexican design elements thoughtfully incorporated into the bright and airy space. 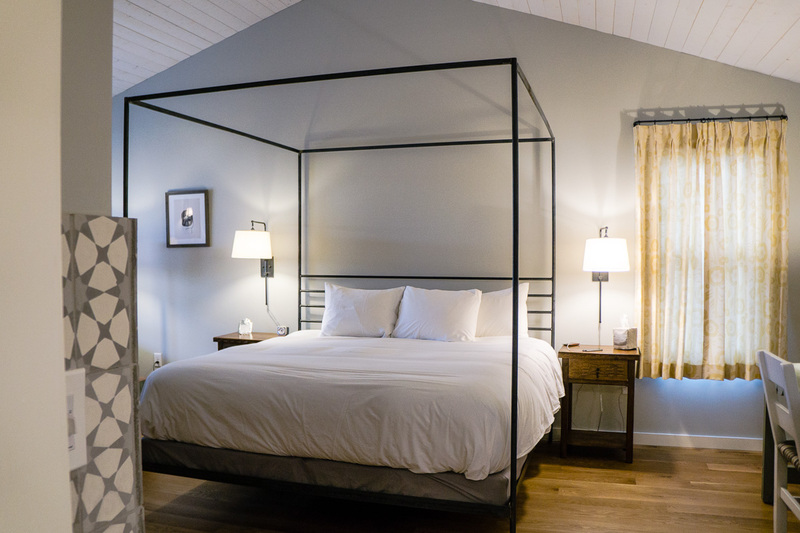 The rooms were a perfect balance of modern and comfort. The fireplace was finished with fun tile and brought a cozy warmth to the room in the evenings. 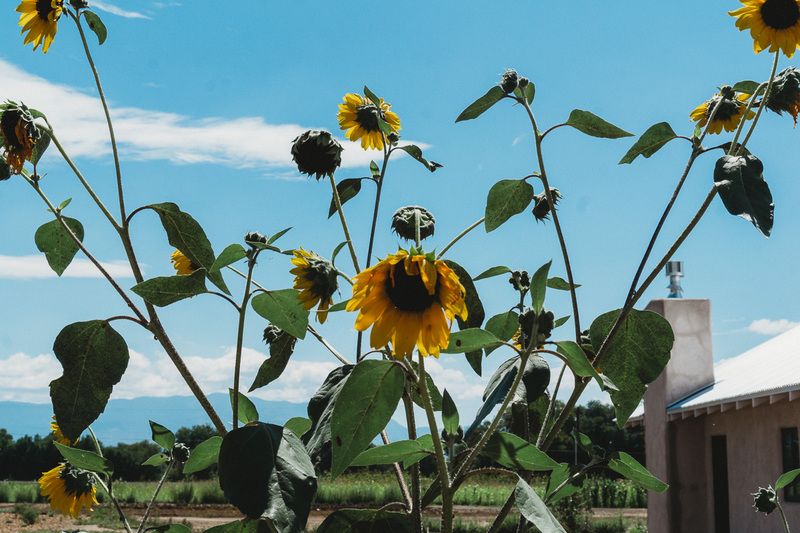 We loved the private patios that looked out over the lavender fields and the Sandia mountains and made the perfect place for enjoying our morning coffee or taking in the evening sunset. 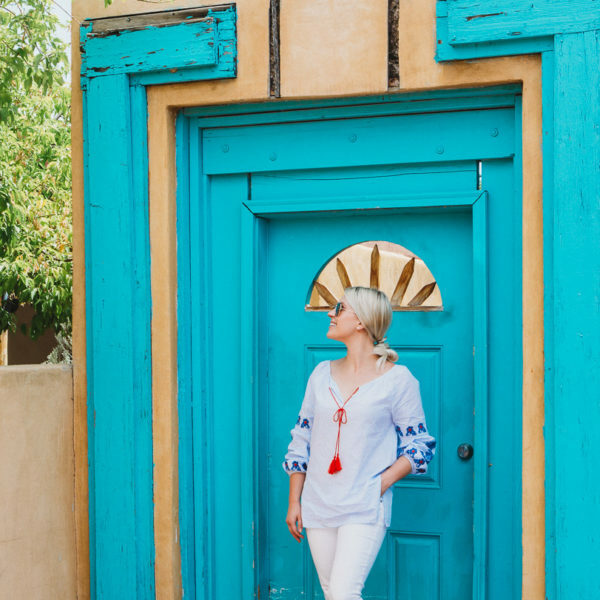 Our stay at Los Poblanos was enhanced by the whimsical details and unique touches that set Los Poblanos apart from other destinations and made our weekend so memorable. 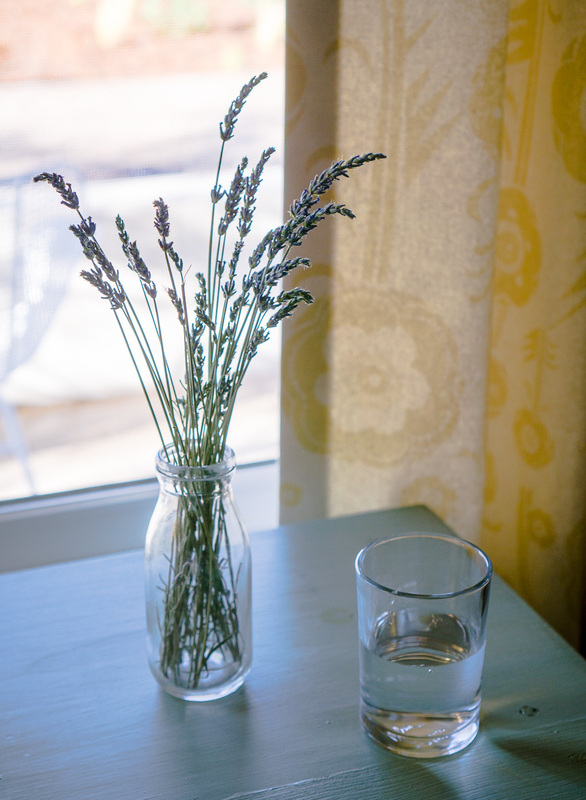 The guest rooms are stocked with handmade lavender products made using the lavender grown on site, including lavender shampoo, conditioner, body wash, hand soap, body lotion, and more! 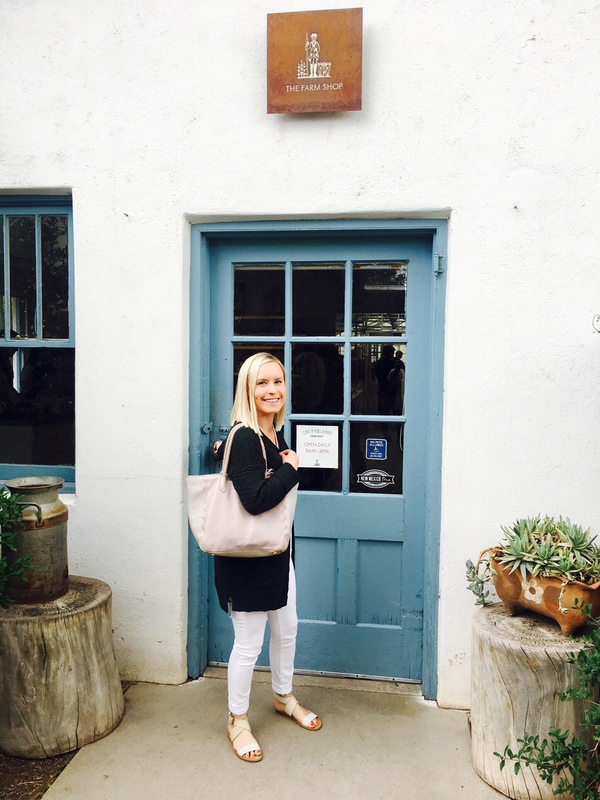 All of the lavender products definitely had us feeling completely pampered and relaxed. 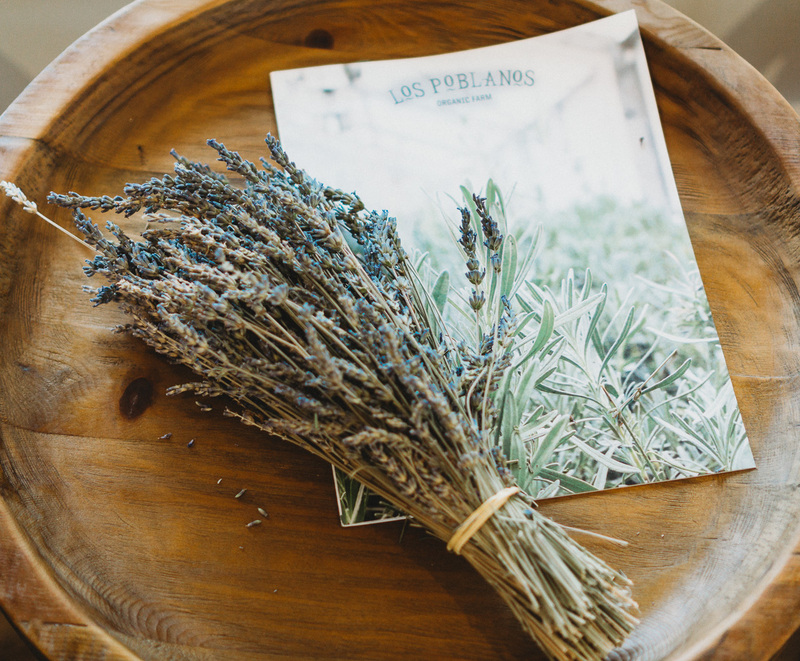 We love that the lavender used in the Los Poblanos products straight from the property. The gorgeous lavender fields are an incredible site to see and make for the perfect photo! They use a steam distillation process to extract the essential oil after the lavender’s harvested. 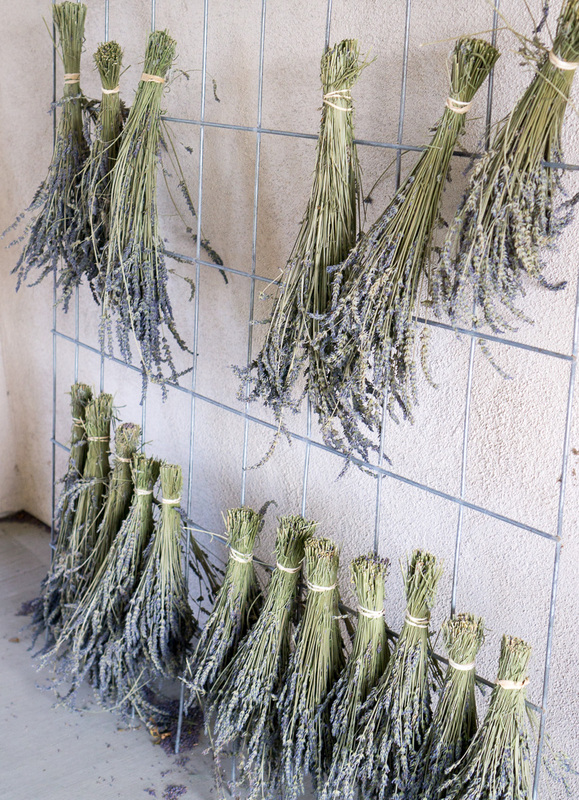 Los Poblanos also hosts seasonal workshops centered on cultivating lavender and aromatherapy. They even have lavender dining experiences in June and July to celebrate the lavender season. The lavender aroma can be indulgently inhaled throughout the entire Los Poblanos property and is a true treat for the senses. 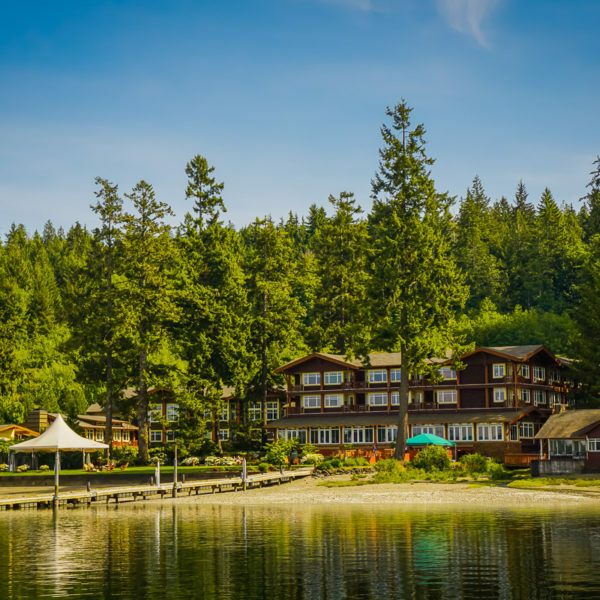 If you’re looking for total relaxation and some peace and quiet, then this is the getaway destination for you! There is an amazing Farm Shop at Los Poblanos where you can buy a variety of artisanal products made and grown onsite. 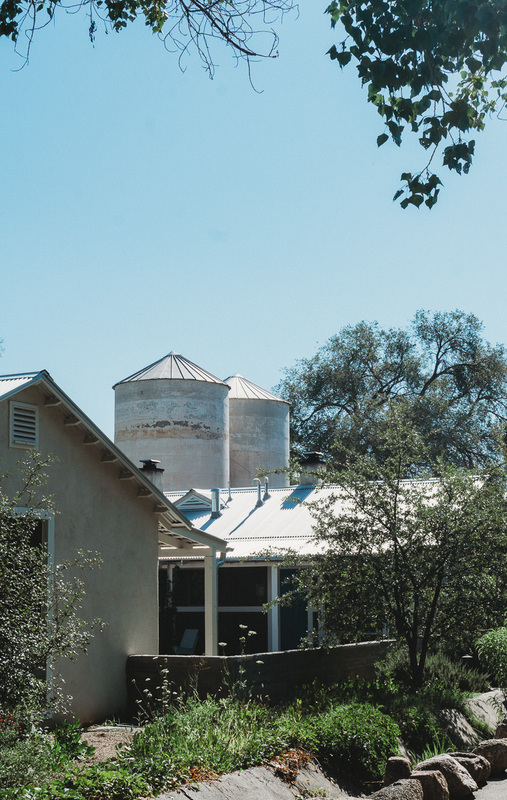 The shop features a wide range of items including all of the Los Poblanos lavender products, various farm foods, hand-crafted jewelry, kitchen decor, and gardening tools and books. 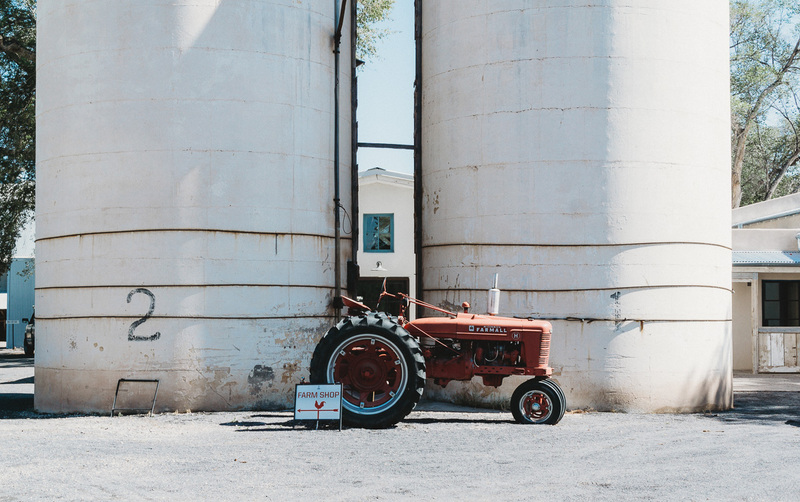 We recommend stopping by the Farm Shop and grabbing a loaf of freshly baked sourdough bread and some delicious cheese to enjoy outdoors on the grounds or back in your room on the patio. You can also get handcrafted small-batch gelato from the Farm Shop, in addition to specialty seasonings, salts, spices, teas, and honey. Many of the food products are also made with the lavender from the farm. Make sure to stop by the Farm Shop to get some souvenirs to bring home with you! We especially loved the lavender gift sets and farm food items. 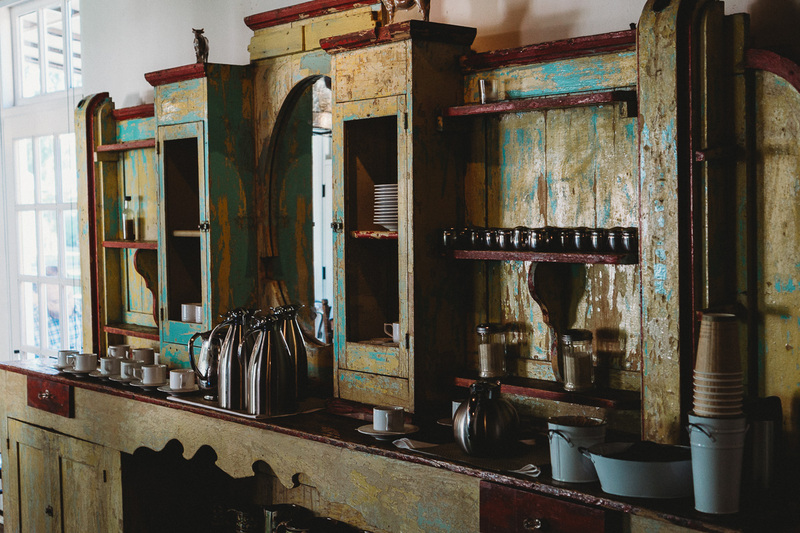 The restaurant at Los Poblanos Historic Inn & Organic Farm is not to be missed! 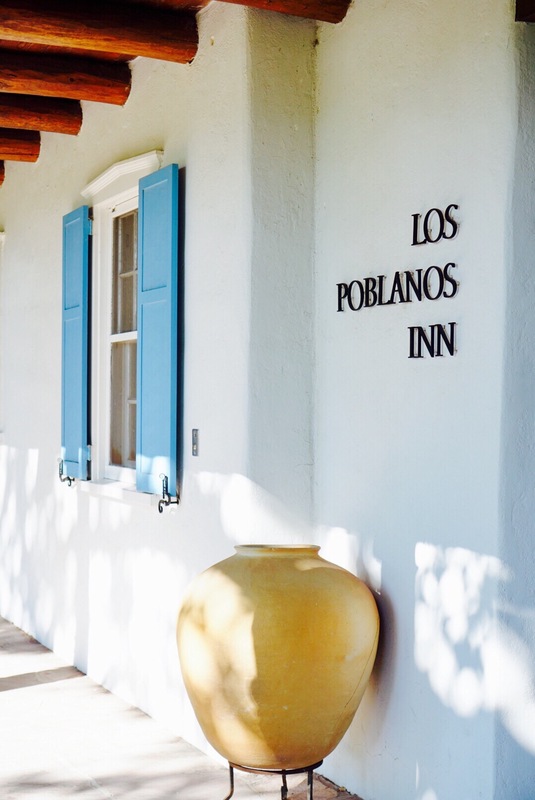 Afterall, it’s a large part of why Los Poblanos was ranked as one of the top ten hotels for food lovers by Bon Appetit Magazine – pretty impressive! We loved our breakfast experience at the restaurant both mornings and were sad that we weren’t able to have dinner at the restaurant due to our festivity filled schedule. That being said we will definitely be making dinner reservations there next time! The restaurant offers fine-dining in a relaxed setting featuring “Rio Grande Valley Cuisine” reflective of its Southwestern roots. 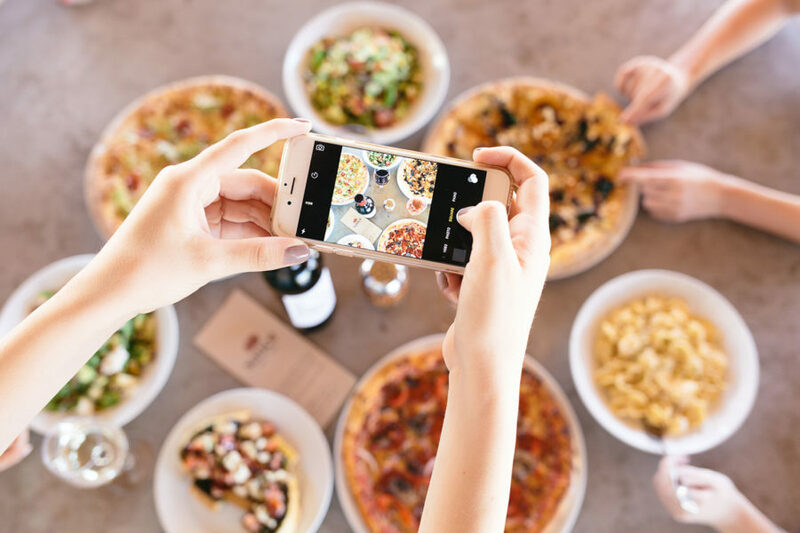 The restaurant’s field-to-fork menu is inspired by and crafted using seasonal ingredients from the Los Poblanos Organic Farm, in addition to produce and proteins from local farmers and herdsman. There’s also an intimate bar area slightly separated from the restaurant that offers tempting handcrafted cocktails and champagne in the evenings. The unique Lavender Margarita immediately caught our eye on the cocktail menu and the bartender was kind enough to make us a “mocktail” version of it – as we are BOTH pregnant! 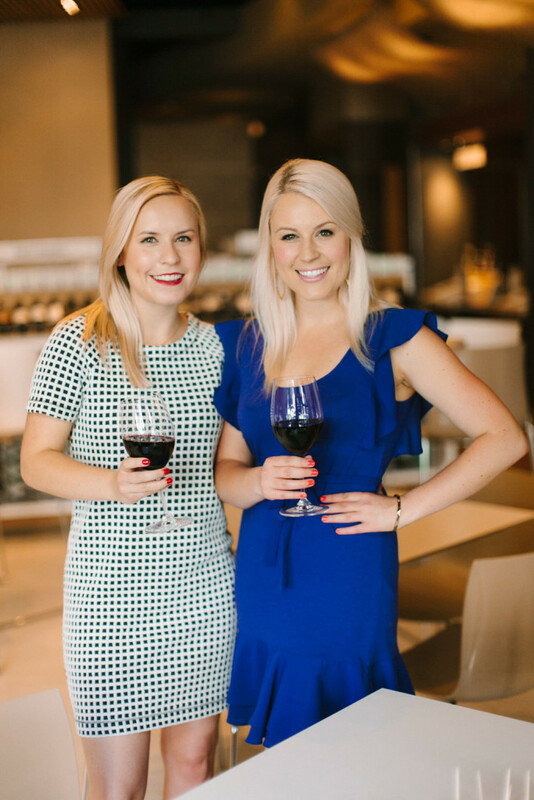 It was hands-down the best mocktail we’ve had during our entire pregnancy, so we can only imagine how delicious the real deal tastes! Starting the morning with a leisurely breakfast at the restaurant each day was simply perfect. If you’re staying at Los Poblanos, an organic continental breakfast is included in the room rate! 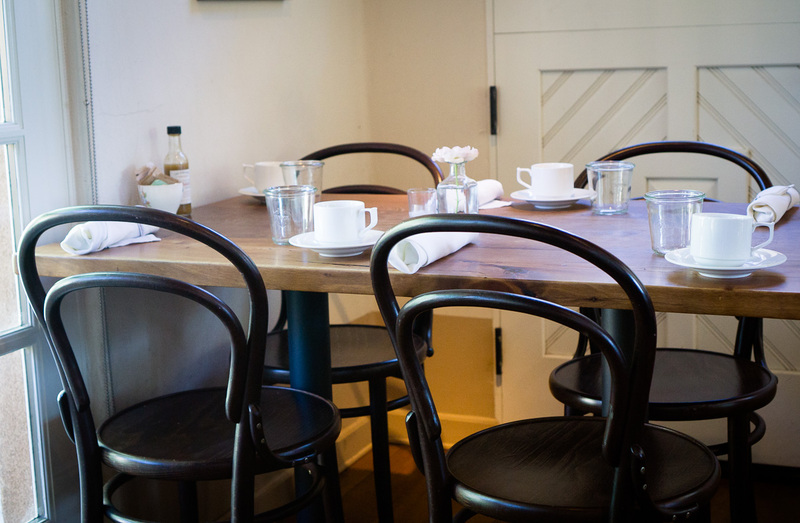 However, the breakfast menu is brimming with tantalizing choices that make ordering a touch decision. 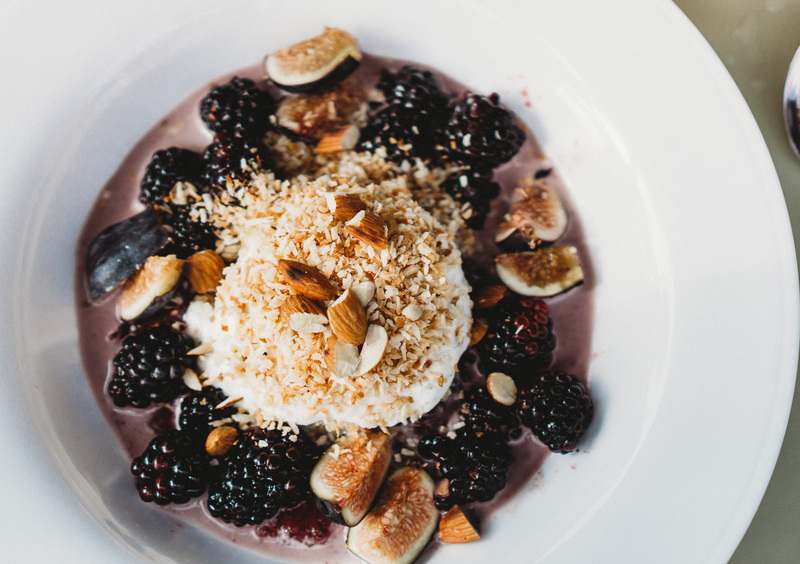 The Forbidden Rice and Steel-cut Oat Cereal (pictured below) offers a unique twist to your everyday steel-cut oats, served with almond milk, fresh berries, toasted coconut, toasted almonds, and yogurt with mint. 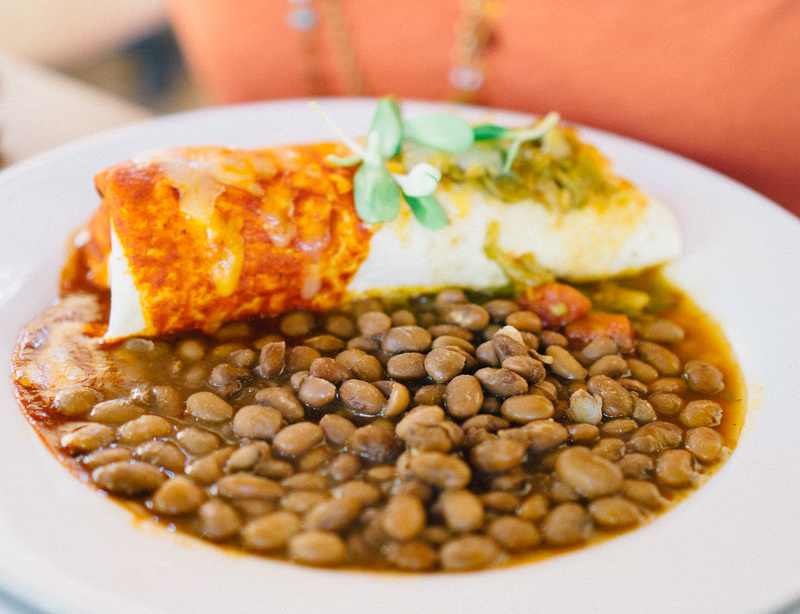 The Breakfast Burrito is another great choice if you’re craving a taste of Rio Grande Valley Cuisine, made with eggs, confit of chicken, your choice of red or green chile, and jack cheese and cheddar cheese. 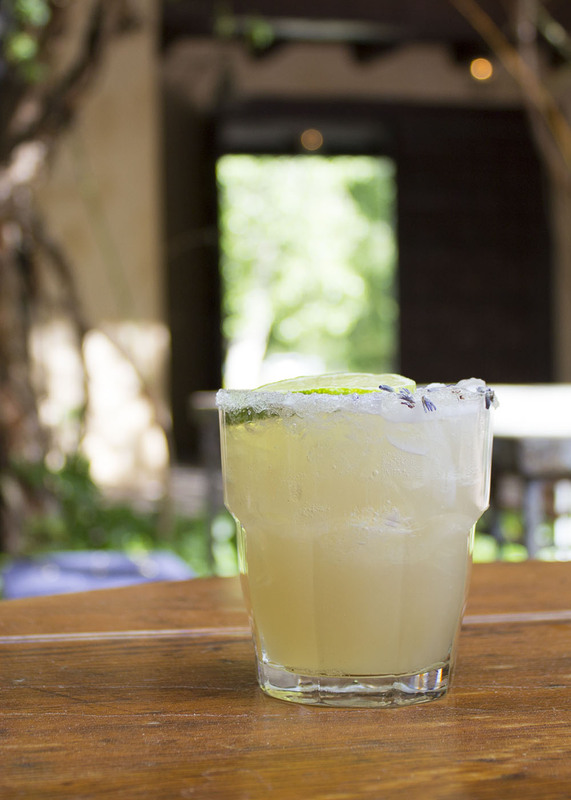 Exploring the grounds of Los Poblanos is a must when visiting. The grounds are beautifully maintained and truly make you slow down and appreciate the natural beauty surrounding you, making you feel more connected to the land and the people who cultivate it. 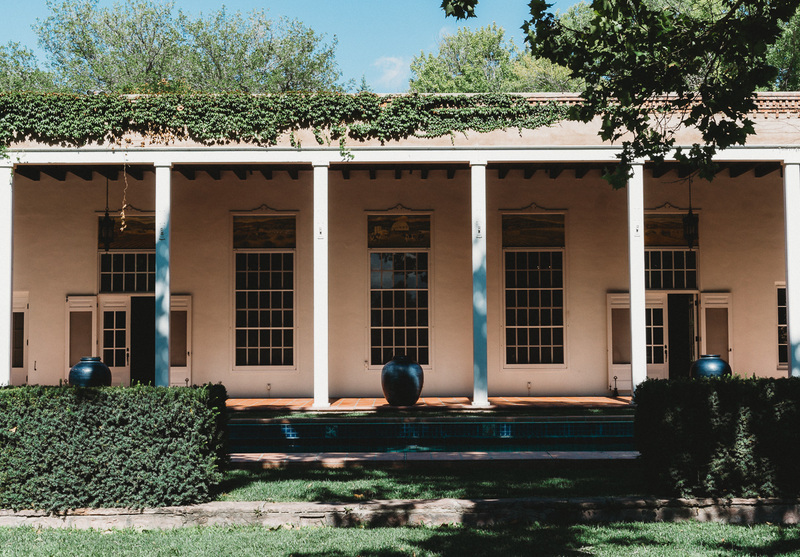 Los Poblanos is hands-down one of the most stunning historical properties in the Southwest. It’s included in both the New Mexico Historic Registry and the National Registry of Historic Places. We thoroughly enjoyed our weekend getaway at Los Poblanos and highly recommend it as the best place to stay when in Albuquerque. We’re already planning a trip back sometime in the near-future so we can have dinner at the restaurant and experience the lavender harvest! Check out our HOW TO SPEND A DAY IN ALBUQUERQUE for our Albuquerque weekend travel itinerary! Many thanks to Los Poblanos Historic Inn & Organic Farm for hosting us for the weekend! All thoughts and opinions are our own. Sounds like a wonderfully relaxing place to stay. 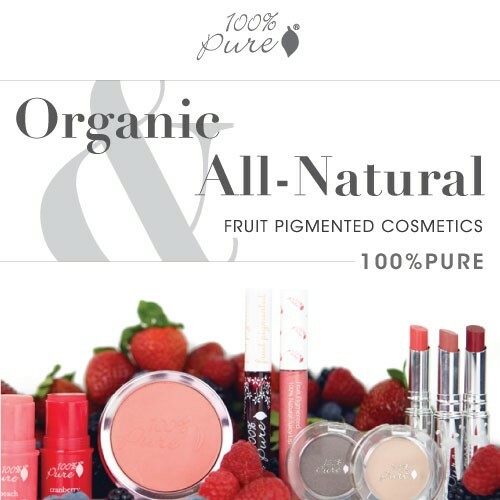 Love your pictures and beautiful descriptions! Love being connected with you and thank you so much for the pregnancy congratulations! Also, if you are planning on heading to New Mexico let us know! First of all– your photos are all amazing. I’m so impressed! We need another photo walk on the calendar now that the weather is cooling off. 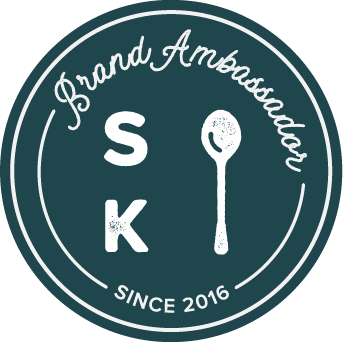 Secondly, I love how you combined fashion, food, and travel so well in one post. #Goals. Such a comprehensive guide! Thank you Steph! This means so much to us coming from you! We learned from the best – you and are Uncle Bert and we’re incredibly grateful. When are going on an adventure together? !